Harry Turtledove is a New York Times Best Selling Author. TAMPA, Fla. -- What might have happened if the Confederacy had won the Civil War? Or if aliens had invaded the earth during World War II? 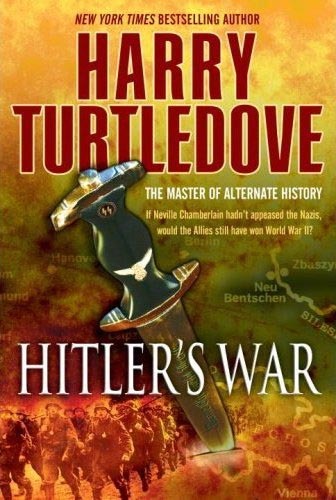 Speculation about such possibilities is the stuff of the science fiction genre known as “alternate history;” the University of South Florida Humanities Institute welcomes a writer hailed as the master of the genre -- Harry Turtledove. Turtledove will speak at 6 p.m. on Tuesday, Feb. 18 in the TECO room on the USF Tampa campus. In alternate history, authors have the freedom to play with notions of truth, reality and imagination; In Turtledove’s dozens of novels, stories and collections, he does just that -- ranging from Atlantis to the Byzantine Empire to Shakespearean and American colonial times and beyond. After earning his Ph.D. in Byzantine history from UCLA, Turtledove began as an academic historian, but soon turned to writing full-time. Since the 1990s, he has established himself as one of the most prolific and accomplished authors in the genre. His numerous recognitions include the Homer Award for Short Story, the John Esten Cooke Award for Southern Fiction and the Hugo Award for Novella. Turtledove’s lecture will be followed by a wine and cheese reception and book signing. Turtledove will be joined by College of Arts and Sciences faculty for an interdisciplinary discussion at 2 p.m. on Feb. 19 MSC 3705. The panel will include Michael Decker (history), Brogan Sullivan (English), and USF’s own nationally-known author Rick Wilber (mass communications), who in 2013 won the most prestigious award for the genre -- the Sidewise Award for Best Short-Form Alternate History -- for his story “Something Real.” Both events are free and open to the public. Co-sponsors include the School of Mass Communications and the USF Library. For more information, and parking details, contact Liz Kicak at (813) 974-3657 or , or visit the Humanities Institute webpage: www.humanities-institute.usf.edu. The Humanities Institute is part of the College of Arts and Sciences.